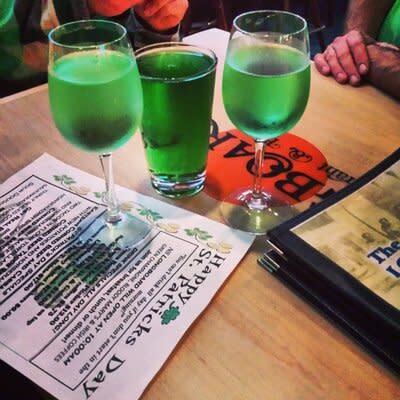 Break out your green attire and get ready to toast all things Irish. 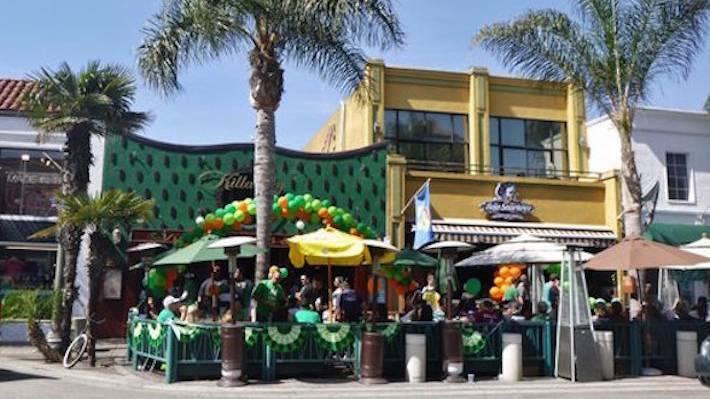 We’ve found six of the best St. Patrick’s Day celebrations in Huntington Beach. 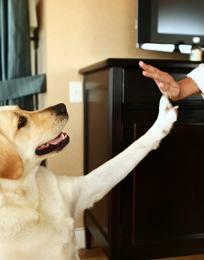 From milkshakes with four leaf clovers to wiener dog races, there’s plenty of ways to bring out the Irish in everyone. Looking to celebrate St. Patty’s early? Then Old World Village is the place to be. 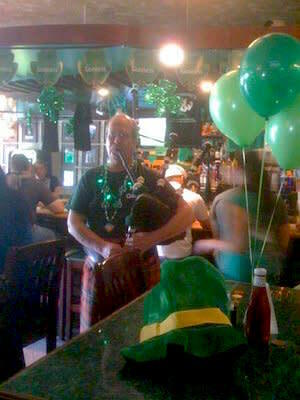 Enjoy live music from OC local Irish band, Wylde Rovers on Sunday, March 15 starting at 2pm for only $2. 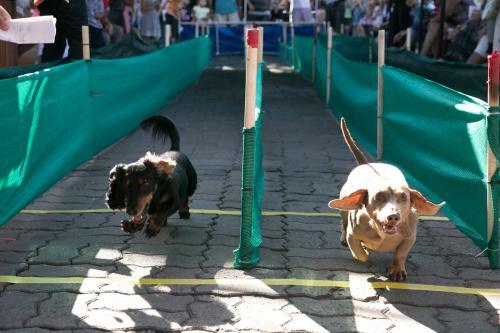 Grab a green beer and a green cookie for the kiddos while they cheer on their favorite dachshund at the wiener dog races. 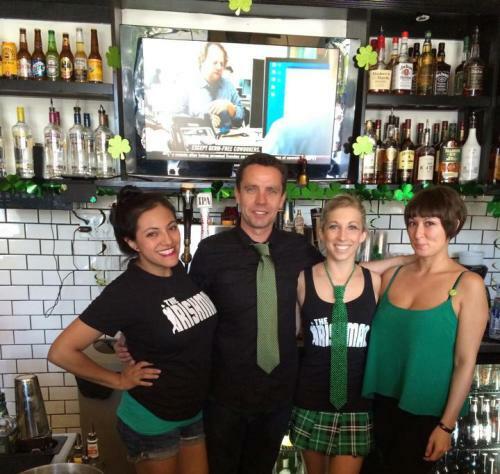 Known for having the “Best Guinness pour in town”, the Irishman recently celebrated their one year anniversary at their location on Olive Ave just off Main Street in Downtown Huntington Beach. 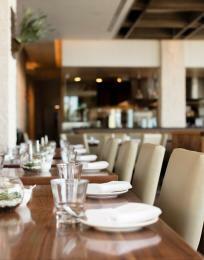 Menu items include sausage wrapped in a puff pastry, a corned beef sandwich, and shepherds pie. 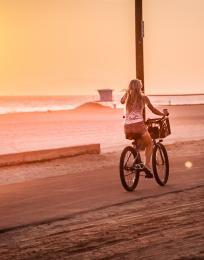 Offering a fun yet laidback atmosphere (and even a fireplace! 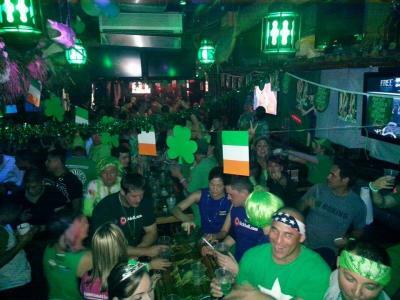 ), The Irishman is a clear go-to for St. Patrick’s Day celebrations. 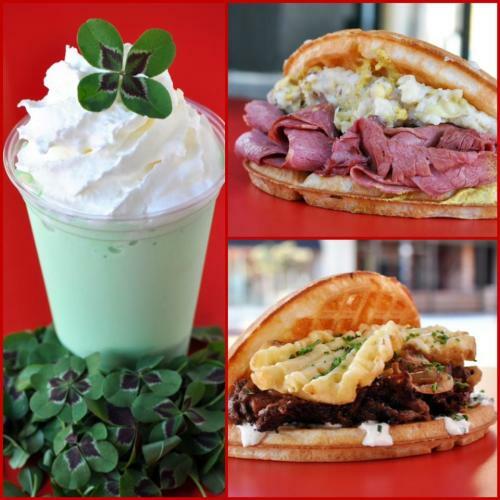 Bruxie is notorious for celebrating St. Patrick’s Day with a themed menu featuring items such as their Belgian waffle sandwich stuffed with corned beef and cabbage. You can certainly taste the luck of the Irish in their Lucky Shake, a peppermint shake topped with an authentic four leaf clover. Doors open at 10am for the Longboard Restaurant and Pub St Patrick’s Day celebration. Drink specials include green champagne, Bloody Mary’s, and Irish Coffee and there is certainly no shortage of corned beef on their menu! Irish Nachos, Emerald Isles, Corned Beef on Rye, Gaelic Steak Blarney Castle Corned Beef and Cabbage… need I continue? Killarney Pub and Grill serves the flavors of Ireland on a daily basis but what better time to enjoy this traditional cuisine than St. Patrick’s Day? Sharkeez open at 11am on Tuesday, March 17th with deals such as buy one get one for 25 cents drink specials lasting until 7pm. Come dressed to impress with the best Irish t-shirt taking home $100 in cash.